Valentine's Day is almost upon us. The year seems to have just started and we are already on the brink of February. Is your child going to be handing out valentines cards this year? If so, consider Peaceable Kingdom for their valentines. So sweet! 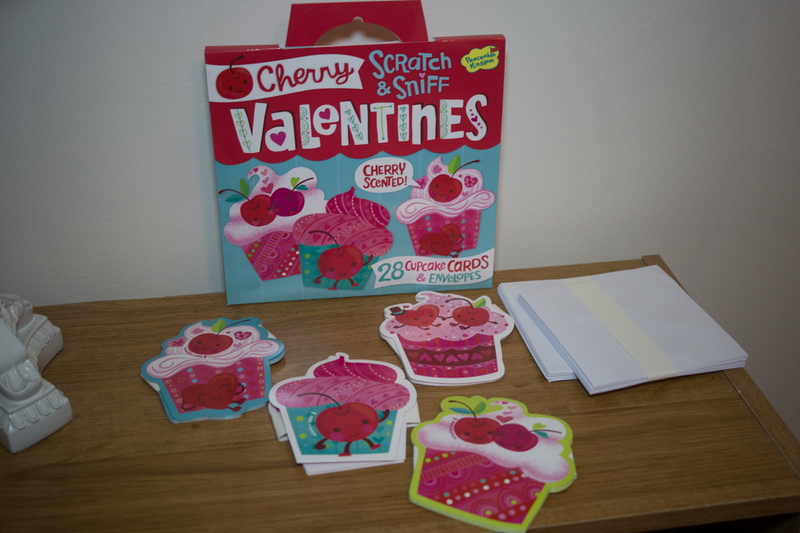 We received two different packages of their Scratch and Sniff Valentines! One is Cherry and the other is Cookies and Cream! Each box has 28 cards and 28 envelopes. There are four different designs in each box. 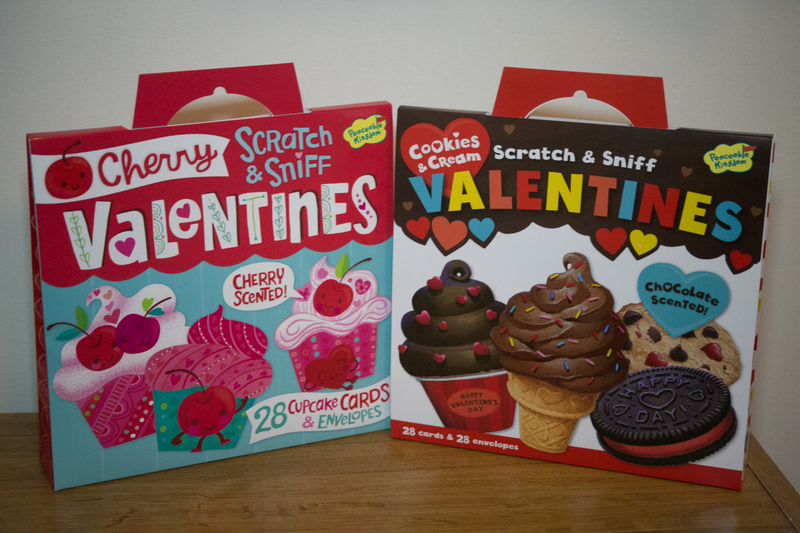 The Cherry of course smell like cherry, while the Cookies and Cream are chocolate scented. 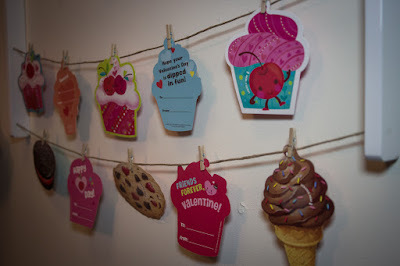 The backs of each one have a short Valentines message or saying with a space to include who they are being given to and a spot for your child to sign their name. The cards are colorful and bright! The sayings range from, "Hope your Valentine's Day is dipped in fun!" to "Hi Valentine! I like you cherry much!" Be sure to get enough that every child receives one, whether for a classroom full of children, or a holiday party your child is attending or hosting. 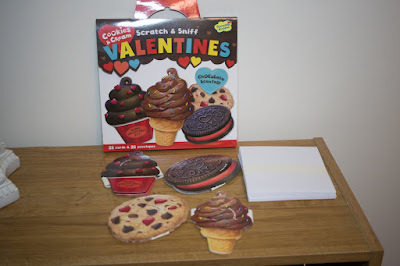 My daughter came up with a couple of ways to display the Valentines. Perhaps if you are having a party you could try one. 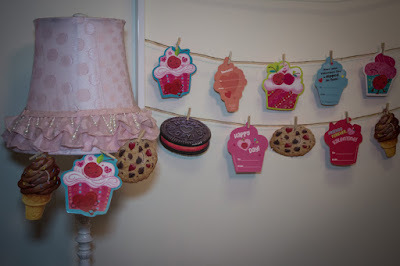 She used tiny clothes pins to put them on display. 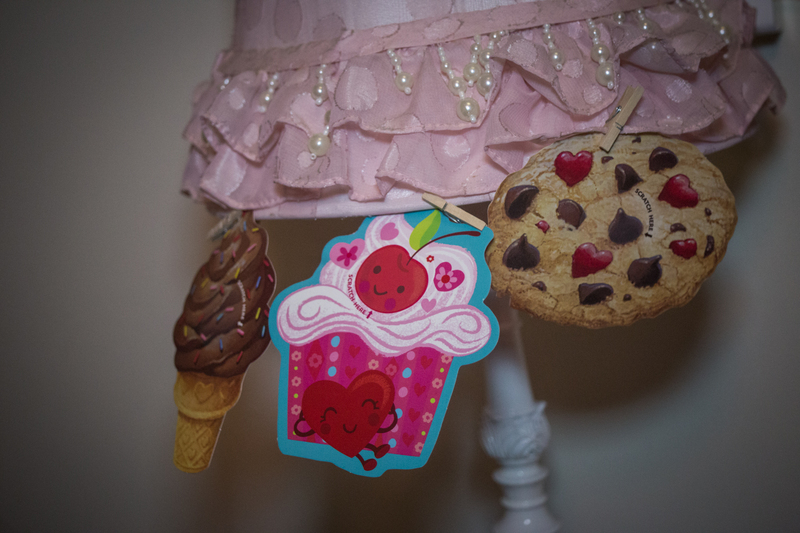 These "sweet" cards are quite adorable and will be well received. And they would definitely go well in a party setting! Visit the Peaceable Kingdom website to find out how to order yours! Thanks for stopping by! See you all soon! In the days of penny pinching and long days of work, we don’t always have the inclination to get dressed up and head out to be social. Instead, why don’t we get dressed up and...stay right at home! With just a few tweaks, you can turn one of your extra rooms into a social hangout spot for your friends and family. Send out the invitations and have them round for an evening of conversation, games and snacks - all in the comfort of your own home. By the way: you can’t charge a penny for your hospitality. This is all about opening up your room to a select few family members and friends and showing them a good time! You no longer have a spare room: you have the social room. That means it can’t double up as an office or bedroom. If you’re going to do this, do it properly. That means putting in the right kind of lighting that you’d find in a social setting out and about town. You can add a few items to the wall and install anything that you think will make the room more inviting, such as some sort of heater. It is up to you, but you might want to think about removing any personal items, such as photographs, from the room. Try to make it as neutral as possible while still retaining the homey comfort. It goes without saying that the entertainment and snacks are a most important aspect of your new cool social setup. OK, that might be an exaggeration. The food isn’t everything, but...it might be good if you are properly stocked and good to go. You can install a table or breakfast bar type setup in your room relatively easily. A few thoughtful additional features, such as coasters, unique bar stools and tables, bottle openers attached to the wall, and a fridge full of pop or iced tea will take it to the next level. Some people like the simplicity of jazz music and a few candles, while others like the atmosphere of sports on television. Whatever you choose, you’ll need to have an entertainment system arranged in your new space. Sound systems are relatively inexpensive and easy to set up, while a television can be easily hung on the wall for those must see sporting events. You can also add a shelf with a few books on the wall, and it’s always nice to have the option of a game of chess, board games, or cards for people to play. Ah, yes - the spare room, the one upstairs that has the pull out sofa in? Yeah, you might want to give that a tidy up and make it available for your guests from out of town. After a long, busy day at work, there’s nothing better than coming home and putting your feet up. Home is the coziest place to be, but if you want to transform yours from good to great, there are a few awesome upgrades you can add. Here are just a few of the ways you can make your home spectacular. If you have a big enough garden, a hot tub is an excellent investment. Even if you live in a part of the world that’s cold, they can still be used all year round, as once you’re in that warm water the cold doesn’t matter! Whether you want to throw hot tub party with friends or just hop in on your own after a busy day, it’s an upgrade to your home that’s sure to get plenty of use. Hot water and massaging jets help to ease tense and sore muscles, lower blood pressure and give you an all-round sense of well-being. You could check out a hot tubs 101 article for more information if you were thinking about investing. A huge smart tv, games systems and surround sound are just a few of the things that make for an excellent home entertainment system. Whether it’s movie nights with the family, girls nights with a movie or having friends round for pizza and console games- a good entertainment system is crucial. If you don’t like the look of speakers dotted around the room, a sound bar makes a good alternative. These are lots of speakers in one strip and give a similar effect. As humans, we sleep for a ridiculous proportion of out lives. And so a great bed really is important. A supportive mattress will alleviate pressure points causing aches and pains, and a nice big bed allows you to stretch out and sleep however you want without disturbing your partner. The biggest bed on the market is a super kingsize. It’s six foot wide so even if you share your bed with a partner and a couple of pets there’s plenty of room for everyone! Choose a sturdy base with a high-quality headboard and the best mattress you can afford. Gel and latex are the newest kinds of mattresses on the market, and have been shown to be more supportive and last longer than memory foam. So you have a few varieties to look into when you’re doing your research. Your flooring makes a dramatic impact in your home, and so you need to choose your coverings well. Downstairs where there is a lot of foot traffic from visitors, people coming in and out of gardens and the kitchen, your best bet is a hardwearing surface. Something like marble, granite, stone or hardwood would work well and will last many years if looked after well. Upstairs you can make things a little cozier by opting for thick, plush carpets. Just be sure to enforce a ‘no food or shoes upstairs’ rule to make sure it’s kept in the best condition for as long as possible. There are many benefits to having a furry friend in your home. They are great for companionship as well as just having someone to care for. They really can become like part of the family, but facts are facts, and unfortunately, around 20% of pet owners are actually allergic to their pet. It can lead to you feeling rather unwell as you deal with the allergens that come from having a pet in the home. The results from the allergens could be red and itchy eyes, sneezing, coughing and even difficulty to breath. If you think you may have a pet allergy, and they are quite common, then here are some things that you can do to try to help. Sometimes removing other allergens in the home can actually help you deal with the symptoms better, but you should always see a doctor if you think you have an allergy. If you know that you will have one room to retreat too if things go badly, then it can make a massive difference to your health. Usually, the bedroom is one of the best choices to have allergen free. Then you know that for around eight or nine or hours a day, you will be free from any triggers that could make your allergy worse. So make sure you keep doors closed and also keep the room well ventilated. Choose some hypoallergenic bedding so that you can limit any potential allergens from your bed. If there is nowhere for the allergens in the home to go to, it can make the situation even worse. So look to keep your home well ventilated. It might be worth getting an air purifier too. Then it can help with any new air that is coming in the home. If you do struggle to breathe, then you could also consider using something like a nebulizer. It can be used to help get oxygen into your lungs. I just searched for a nebulizer and found this online. So it might be worth looking into if you suffer too. You don’t necessarily have to get rid of the pet if it can be dealt with in other ways. 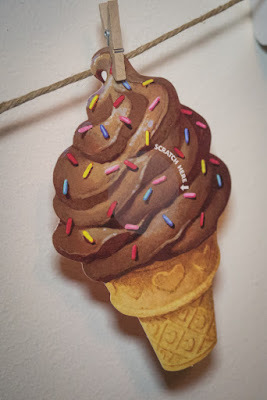 I’m sure that we all clean our homes pretty regularly. But when you have a pet that is shedding fur and potentially allergens, you need to make sure you are doing a certain type of cleaning. Dusting is of paramount importance when you have pets. Any excess dust can cause havoc with any allergies and even make them worse. So it is something that you need to think about. Vacuuming is really important too. It helps to get rid of any excess hair that has been shed and helps to keep the allergens around to a minimum. Cleaning litter trays or pet bedding regularly is important also. It all helps to reduce the spread of allergens in the home even more. So make sure that you stay on top of the cleaning, to minimize how many symptoms you would be feeling. Do you want to add some value you to your home? Of course, you do! The property that you own could also be your greatest investment, and there’s a simple rule to follow here. You just need to make sure that you aren’t taking your home for granted. It shouldn't just be a place where you live. You must aim to regularly improve it, and by doing this, you’ll boost the value. There are lots of changes here from aesthetic choices to ways that make the place more practical and comfortable. But before we get into some of the changes that you can make, we need to think about how to improve your home. What steps should you take, how much should you spend and what problems can you face with these plans? The first thing to think about is the cost. There are plenty of home improvements that will cost a fortune but might still be worth doing. For instance, you might think about converting your attic into a new room in your home. Or, even a brand new floor. As you can imagine, that could add as much as twenty-five percent onto the value of your property. But it could also cost anywhere up to twenty thousand, depending on how much work is needed. The price could even be higher if your loft space is not already build to be accommodating. For instance, it might be necessary to raise the height of your home substantially. The main issue with a cost like this is that it can’t be approached gradually. Instead, you’ll need to pour the money in all at once. You can rely on a loan to make things easier. But you do have to be careful that you’re prepared for the pressure of paying that money back when you need to. If you take out a loan to pay for a property improvement, do check the interest rates. Make sure it’s at a level that you can handle. Otherwise, it’s possible that improving your property drives you into unnecessary debt. You might want to consider opting for a portfolio loan for property improvements. This can be obtained when you have a specific spend in mind that could lead to future gains. However, to be granted access to a loan like this, you do need to make sure that your credit history is absolutely spotless. Another expensive addition to your home might be solar panels. Solar panels have become popular lately on private properties because they provide fantastic energy savings. In the summer you might even find that you are paying nothing on your electric bill. Instead, you’re providing all the energy for yourself. Of course, this is another big cost that could be anything up to five grand. But in the long term, this will have two benefits. It will provide fantastic savings on energy bills and add a lot onto the value when it’s time to sell. It is important that you work with a budget when planning for home improvements. Otherwise, you can end up with a cost that is too high. Setting a budget is a way of planning for unexpected expenses. As such, your budget should always be a little higher than what you hope to spend. Whenever you make changes to your home, you need to think about getting permission. This is almost always true for any big project such as an extension or renovation. It’s particularly crucial if the work you’re completing will change the exterior of the home. Depending on where you live, you might find some clauses built into the homeowner contract that affects the aesthetic of the property. You might have agreed not to make any changes that will make it look too different from the rest of the street. If there are changes like this in your plans, you will need planning approval. You can get this from your local council, and the whole process can take a few weeks to a few months. During this time, you should not proceed with any plans for the property. They may come back with amendments that you have to abide by. While you don’t legally usually need to ask a neighbor's permission, you may want to anyway. A smart neighbor could cause trouble for you with the extension. Particularly, if work on the home could be considered a disturbance of the peace. It’s best to get them on your side and on board as early as possible. If they have any issues later on, you can then argue that you alerted them before you started work. This will weaken any complaint that they might have. When you’re completing work on the property, there are a few issues that you need to be prepared for. First, don’t even think about completing all the jobs DIY. While this may seem like an excellent way to save money, it could mean you don’t get a quality finish. That may not trouble you, but it will affect the opinion of a future buyer. Instead, get a skilled contractor on the job. Anyone you hire needs to be officially licensed. If they’re not this opens a whole brand new tin of worms. Again, there could be issues with quality, but that’s not your main concern. The main problem is that you could be held legally liable, even after you’ve sold. You might find that you move out of the house and you get a great price. A few months later there’s a fire, and the extension you built into your home didn’t hold as it should have done. An investigation finds that the build work was poor and if someone was injured, you'd have to pay up. It could even lead to criminal charges if you were aware the person completed the work wasn’t contracted. That’s why you do want to be careful about DIY work too. Unless a) you are licensed or b) you know exactly what you’re doing. There’s always option c) tell the buyer everything. But don’t be surprised if this causes them to lowball their offer. All the issues we have talked about thus far are related to major home changes to improve value. Things like a bathroom renovation are always attractive options for home sellers. But what about the small things that don’t cost a lot and don’t create major issues. For instance, improving the curb appeal of your property makes it look more welcoming. As such, it boosts your chances of getting a great price even if it doesn’t impact the actual value. What kind of things boost curb appeal? It could be anything from adding flowers to the garden to a new front door. You might want to contact a landscaper for some help here. They can work through some of the options and choices available to you. Inside the property, you should still be thinking about appearances. There are two aims we’d think about here. You want to make the property seem larger and feel welcoming. You can make your home look like it has a lot of space by painting the walls bright, light colors. Then, minimize the amount of furniture in each room so that it feels more open. These are just a few of the possibilities that you can consider. But remember, it’s all about the final investment. When you’re completing these changes, it might seem like you’re not getting anywhere. It all comes down to that final sale. If the home sells at the right price, it will have all been worth it. There’s no doubt that homeownership is still very much part of the American Dream. And some might say it is the most significant. But for many people out there, whether they are just starting out in adulthood or struggling with low wages, it can seem impossible to get a foot on the property ladder. There are, however, a few things you can do to lower the costs of buying a home and realize your dreams. Let’s take a look at some of the bright ideas on property buying that could save you a fortune, and find the right home for you and your family. There is a price to pay if you want to move into a home where everything is perfect. In fact, a home in tip top condition can often be anything between 25-50 percent more expensive than one that needs significant improvement. The good news is that for anyone wanting to buy a home and is prepared to do a lot of work to fix it up, is that there are plenty of bargains to be had. By the time you spend a little money on making a rundown piece of real estate liveable, you will have still spent less than the market value of a similar home that is in excellent condition. The simple fact is that the bigger your ideal home, the more expensive it will be. There is no getting around it, so if you want to find an affordable home for your family, it might be worth considering downsizing. The square footage comes at a premium, so look for homes that are smaller in stature, but still have plenty of access to outdoor spaces and open floor plans. Building a home yourself can result in savings of anything between 25-40 percent, at least. There are other ways of saving money, too, such as looking at steel buildings or cookie cutter homes from home building companies. If you are prepared to wait a while - and get your hands dirty and become a project manager - it might be worth it. Plus, of course, you might get the chance to design your home, so it is perfect for your needs. The address and zip code will go a long way towards adding thousands of dollars to a piece of real estate. People are prepared to pay a significant premium for those attractive addresses, which is likely to price anyone on a strict budget out of the market. Instead, look at areas that surround the most appealing zip codes. This way, you will be able to benefit from all the services that everyone else enjoys but should save some money off the asking price. Finally, ask around and see if anyone in your family can front you the cash to put towards a deposit. 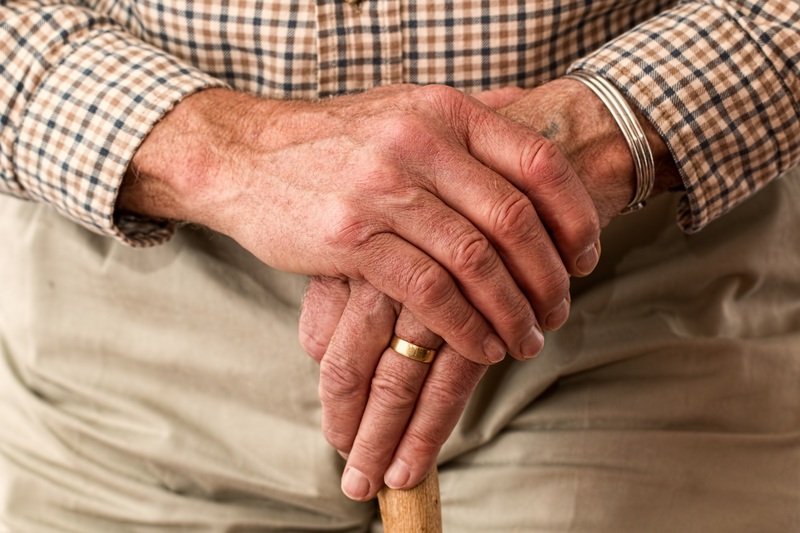 By law, your parents can ‘gift’ you up to $14,000 every year, be sure to check the laws on this, and if they both put their hands in their pockets, it can help you get the home of your dreams. As long as you arrange a repayment schedule with them, you will also be able to offer them a better rate than they enjoy with their current savings account - and everyone wins!